Dental implants are surgically inserted below your gum line. They are permanent solution that does not require removal. They are secured and you do not have to worry about them slipping off. 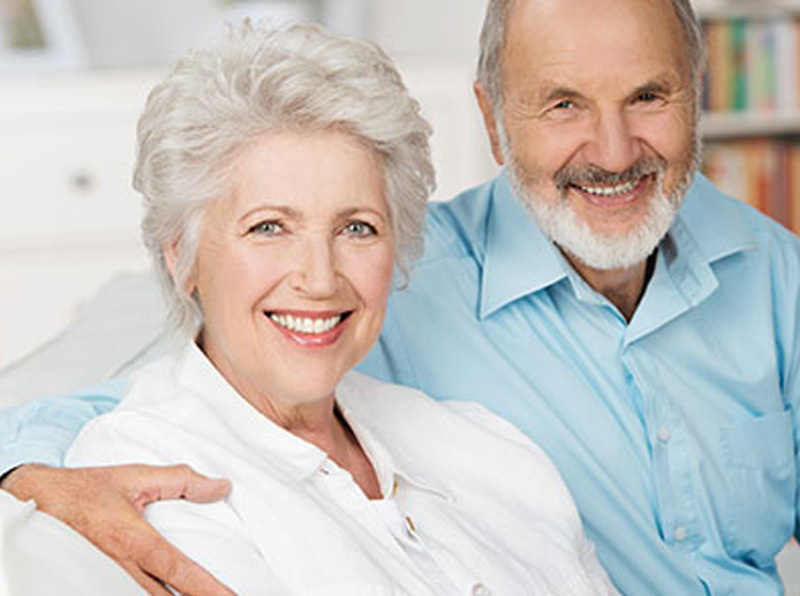 When you receive a dental implant, you are restoring more than the lost tooth. The tissue can easily fuse with the screws and integrate it into the jaw bone. The jawbones then become strengthened. This allows it to develop, grow, and replace lost tissue. We look forward to meeting your dental health needs and establishing a long-lasting doctor-patient relationship with you. Please call us today to schedule your complimentary consultation. "Couldn’t be more pleased with the work here. The doctors were wonderful and made sure I was in the most comfortable conditions. Happy to finally show off my smile!" “The team here really do care about their patients. My appointments were always scheduled on time and there was almost no waiting. Everyone was friendly and took the time to answer my questions. I will definitely come here for a possible teeth whitening. " 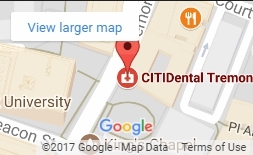 Copyright © 2015 CITIDental Tremont All Rights Reserved | CITIDental Tremont provides world class dentistry, including crowns, veneers, dental implants, and Invisalign, for patients in the Downtown and surrounding areas of Boston. | Sitemap | * 20% Off One Procedure for New Patients! This offer excludes 63 Court Street location. Offers cannot be combined, limit one per customer. Expires 12/13/2016. 20% Off One Procedure for New Patients! This offer excludes 63 Court Street location. Offers cannot be combined, limit one per customer. Expires 12/13/2016.